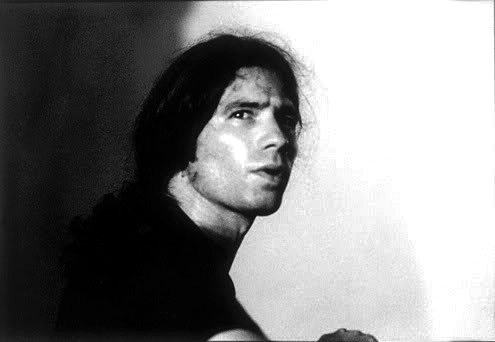 IN THE SHADE OF SUN is released on 4 October 2009 on Ecstatic Peace! John Blum was born in New York City on April 15, 1968 and has been a mainstay of the free-jazz community there for over 15 years. While in Europe in 1992, he recorded with clarinetist Tony Scott’s Trio which included Antonio Grippi on alto sax. 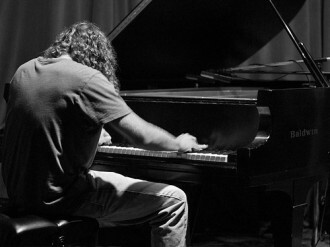 Upon returning to NYC, Blum became a member of the Improvisers Collective (1993-1995) and initiated projects as a soloist and a group leader. 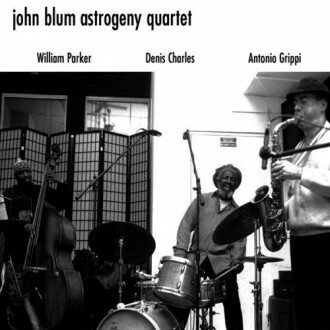 In early 1998 he joined together with Antonio Grippi on sax, Willia, parker on bass, and Denis Charles on drums to form the Astrogeny Quartet. A CD by the group ws released on Eremite Records in 2005. In 2001 Blum recorded a solo piano CD for Drimala Records entitled NAKED MIRROR, and also featured on Butch Morris’ CONDUCTION 117 released on JumpArt Records. In 2003, Blum recorded with Sabir Mateen on tenor sax in Sunny Murray’s Trio and is featured on Murray’s CD PERLES NOIRES VOLUME 2 on Eremite Records. He joined the Steve Swell Quintet in 2005 and a CD was released on NotTwo Records of their 2006 NYC Vision Festival performance. 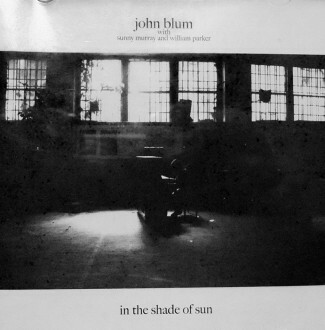 In addition to his solo CD WHO BEGAT EYE recorded for Konnex Records in 2008, Blum also recorded this trio album, IN THE SHADE OF SUN with William Parker and Sunny Murray to be released on Ecstatic Peace Records in 2009. For me, music is not something to be categorised and shoved in some convenient generic box. Music, any music, either inspires me, moves me, excites me or leaves me cold and uninterested - regardless of its generic label. 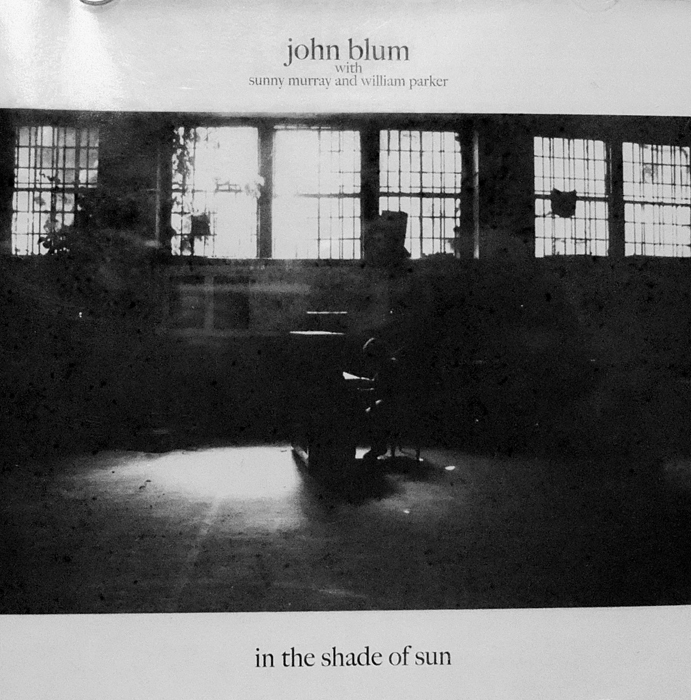 I have never heard John Blum before receiving this album which I’ve now played several times since it arrived. It came with a bunch of Ecstatic Peace! (Thurston Moore’s label) CDs which also included other instrumental albums - a welcome and interesting label development. With music that is so personal, so intimate it is hard for me to offer a meaningful critique. But I can say that what I’ve heard is rivetting, exciting, moving and inspiring. The playing skills displayed here are awesome, the unity of musical purpose, in my experience, unparalleled; the ambience created is open and sometimes terrifying in its brutality; at other times it’s deeply moving. It’s a turbulent musical journey but one that I can relate to in my own life, which like most people is made of ocean-deep lows and soaring highs. In my view, it’s the essence of what the greatest music and art generally should be. And in this age of instant gratification and idolatry we need to be challenged more than ever before, we need to question more than ever before. This is the proposition and challenge that John Blum (intentionally or unintentionally) has brought to the table so brilliantly and graphically with IN THE SHADE OF SUN.